Like most great ideas, the concept for Open Heart Yoga, located in the heart of beautiful Red Bank, New Jersey at the corner of Shrewsbury Avenue and Oakland Street, started with a question. What if there was a studio where participants can not only practice their asanas, but also exercise their altruistic muscle at the same time? She explains, “It is the ultimate gift of giving and self care. 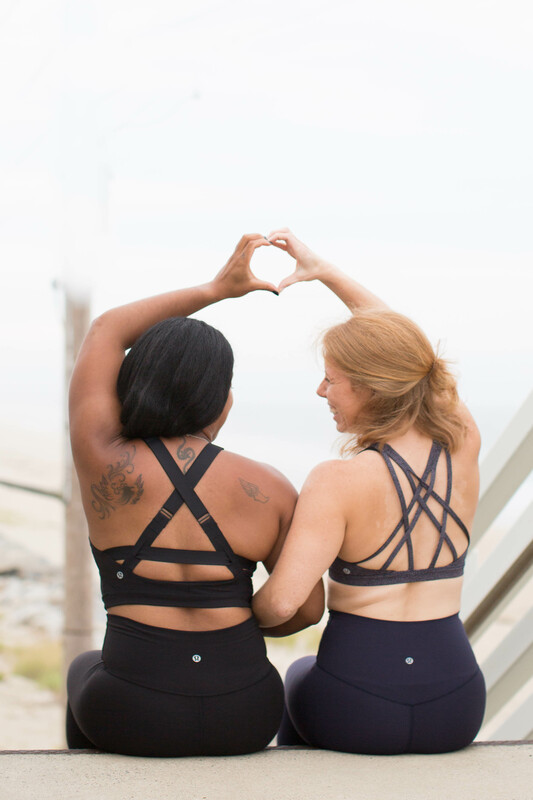 Each Open Heart Yoga student will enrich and unite our community by gifting yoga and mindfulness to volunteers and recipients of our local charities and nonprofits. With each single, weekly, monthly, or yearly yoga package purchased, the same amount is donated to our Community Partners. This will undoubtedly create a positive ripple effect that will affect an infinite number of souls. Those who practice regularly know that yoga is contagious and by spreading the love and joy that is YOGA, we are contributing to a more peaceful community. Service is another byproduct of yoga. When you see yourself in others, you will be more apt to give, serve, and better the community. Practicing with Open Heart Yoga connects you to someone else’s ability to practice and that feels better than any headstand or challenging pose you finally master. 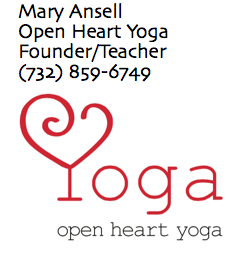 Mary, the owner, founder, and head yogini at Open Heart, is someone who always had service in her blood. Originally a public school educator, she took time off from teaching to raise her three children. It was during this time she became aware of the many local resources that are available to Monmouth County residents. She began volunteering in schools, nonprofit organizations, and charities. As her journey continued, she combined her passion for teaching with a yoga practice and transitioned to full time Yogi. 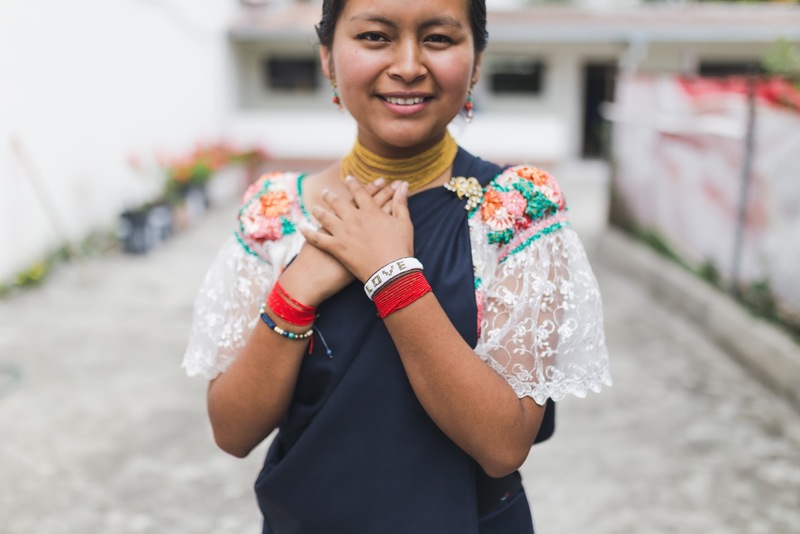 Teaching yoga in high schools, safe houses, hospitals, and at a variety of nonprofit organizations, were just the right building blocks that would give her the inspiration to combine many of these experiences into something unique. While practicing yoga, she imagined a more diverse and inclusive studio to enrich and unite our community. “Yoga’s life enhancing tools that positively affect our physical and mental health should be a need, not a want. Getting to know new members of our community by practicing together, breaks down barriers and unites us,” Mary says. It took enthusiastic yoga students, Board Members, and generous donors to breathe life into Open Heart Yoga. Each of the Community Partners provides critical resources that any one of us may benefit from. Students decide which organization receives their free yoga voucher. Some of these include 180 Turning Lives Around, The Beauty Foundation for Cancer Care, Bloom Again, Count Basie Center for the Arts, JBJSoul Foundation, Lunch Break, Parker Family Health Center, Stephy’s Place, Tigger House Foundation, and the VNA Health Group. As practitioners of yoga, we want the entire world to get in tune with their body and mind, but for now thanks to the efforts of one woman with an idea, we can begin in our own community. Open Heart Yoga is located at 93 Shrewsbury Ave., on the West side of Red Bank, just steps from the train station. Come meet the Board Members and teachers who are on the cutting edge of changing the way we practice and think about Yoga. Visit their website for additional information at OpenHeartYogaNJ.org. The greatest teachers, studios, classes and communities are in the Garden State. You are ready to inspire and be inspired. Before we dig into this week’s events, which we are LOVING because there are some non-asana opportunities to celebrate life, family, and community, we have a few Save the Dates for you! Want to Work with NJYC?